Fernandes Hearn LLP has been awarded the 2017 Corporate Intl. Global Award in the category Transport Law – Law Firm of the Year in Canada. Kim Stoll celebrated her 10th year as partner with Rui Fernandes and Gordon Hearn on January 21, 2017. 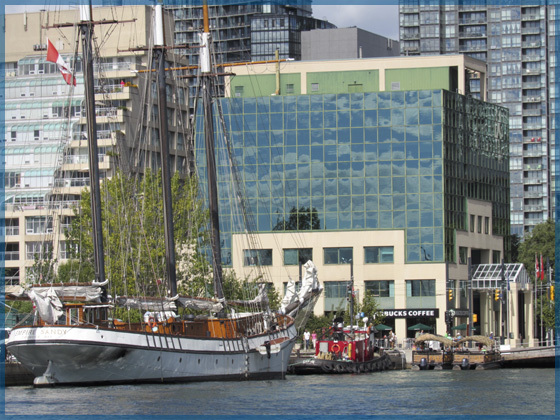 Martin Abadi has been invited to return as a guest lecturer at the University of Ottawa Faculty of Law in the Maritime Law (Droit Maritime) course in February /March. Martin will lecture on admiralty and commercial law and regulatory aspects in maritime law. Rui Fernandes and Kim Stoll will be attending the Canadian Defence Lawyers seminar in Toronto on February 22nd, 2017 on Defending Products Claims. On December 24,th 2016 the Federal Department of Transport introduced draft regulations to implement compulsory insurance for ships carrying passengers. Interested persons may make representations to the Minister of Transport concerning the proposed Regulations within 60 days after the date of publication of this notice. All such representations must be in writing and cite the Canada Gazette, Part I, and the date of publication of this notice, and be sent to Doug O’Keefe, Chief, International Marine Policy, Marine Policy Directorate, Department of Transport, Place de Ville, Tower C, 330 Sparks Street, Ottawa, Ontario K1A 0N5 (tel. : 613-608-8904; fax: 613-998-1845; email: doug.okeefe@tc.gc.ca). Part 4 of the Marine Liability Act (the Act) introduced a comprehensive liability regime for passengers carried on commercial or public purpose ships. The liability regime is based on the International Maritime Organization’s Athens Convention relating to the Carriage of Passengers and their Luggage by Sea, 1974 as amended by the Protocol of 1990 (1990 Athens Convention). The 1990 Athens Convention presumes the carrier to be liable for injuries resulting from shipwreck, collisions, stranding, explosion, fire and any defect of the ship. As a trade-off, carriers can limit their liability to each passenger to 175 000 Special Drawing Rights (SDR). [Special Drawing Rights are a special unit of account of the International Monetary Fund which fluctuates and was equivalent to $1.80 (1.80*175 000 = $315,000) on June 13, 2016.]. For this trade-off to work, carriers must have the financial resources to cover this liability. The 1990 Athens Convention does not require carriers to insure this liability; however, section 39 of the Act provides authority to make regulations requiring carriers to maintain insurance to cover their liability to passengers up to the maximum limit of liability. On June 16, 2000, the tour boat True North II sank in 15 m of water in Georgian Bay resulting in the drowning of two children. The inquest found that the owner-operator was not insured and recommended compulsory insurance for commercial ships carrying passengers. Following this incident, the Minister of Transport made a commitment in 2001 to the House of Commons Standing Committee on Transport and Government Operations to enact regulations requiring compulsory insurance for ships carrying passengers. The Minister publicly announced the Government’s plans to proceed with these Regulations in 2003. The Department of Transport (the Department) undertook a comprehensive implementation study (Mariport Report) in 2002 and extensive consultations with marine stakeholders and marine insurers in 2003–2004. However, the Department was unable to proceed with the Regulations because the adventure tourism industry (e.g. white water rafting) could not acquire insurance without “waivers of liability” that are invalid under Part 4 of the Act. The Act was amended in 2009 to exclude adventure tourism activities (subsection 37.1(1) of Part 4 of the Act). Liability for these activities now falls under Part 3 of the Act. While the Act contains a liability regime for passengers carried on board commercial or public purpose ships, carriers are not required to maintain liability insurance towards their liability to passengers. The objective is to ensure the financial security of compensation due to passengers or their dependents in the event of a marine accident involving personal injury or loss of life by requiring marine carriers to maintain appropriate insurance. – include a provision where failure to provide a proof of appropriate liability insurance could result in either the detention of the ship or a fine not exceeding $100,000 upon summary conviction. – a carriage undertaking for search and rescue operations that are carried out by the Canadian Coast Guard Auxiliary. To facilitate compliance, the proposed Regulations provide for implementation in two stages. Carriers who hold an insurance policy for liability to passengers when the proposed Regulations come into force would need to comply with them upon the renewal, modification or cancellation of the policy. Carriers who hold no insurance policy for liability to passengers when the proposed Regulations come into force would be required to comply with them 60 days after they come into force. Some stakeholders were concerned with the determination of passenger capacity. For example, some stakeholders noted that fishing vessels would not have a passenger capacity, while others noted that a ship may have a capacity of nine passengers but never carry more than four passengers. The proposed Regulations are not prescriptive as to how an operator must determine the ship’s passenger capacity. All operators of vessels used to carry passengers, including fishing vessels, need to comply with the Canada Shipping Act, 2001 regulations on the carriage of passengers. In doing so, they need to determine the number of passengers that the vessel has been outfitted to carry (e.g. number of life jackets). This determination should inform their insurance policy requirements. Fernandes Hearn LLP will keep you advised of any changes to the draft regulations after stakeholders provide comments to the government. In October 2016, the Ontario Court of Appeal released a unanimous decision that overturned a decision of first instance and stayed a court action pending a determination of jurisdiction by an arbitrator pursuant to the competence-competence doctrine (*1). This doctrine provides that an arbitrator is the proper referee at first instance to rule upon his own jurisdiction under an arbitration clause. The context of the case was a shareholders agreement between partners in an Italian restaurant. The restaurant failed and one of the partners, Mr. Haas, brought an action against his former investment partners. The shareholders agreement indisputably contained a mandatory arbitration clause in the event of a dispute amongst the business partners. Mr. Haas originally issued a Statement of Claim, which alleged both torts on the parts of the other shareholders prior to the signature of the agreement, and breaches of contract that related to the shareholders agreement. Upon receiving notice of the defendants’ impending motion to stay the action on the basis of the arbitration clause, Mr. Haas amended his Statement of Claim to remove the references to breach of contract, a move which can be seen as an acquiescence that contractual disputes would be subject to the arbitration provision in the shareholders agreement. The motions judge, Akhtar J., had refused to stay the plaintiff’s action. At the outset, the judge held that the motion should be determined on the basis of the Amended Statement of Claim and not the original Statement of Claim. He then proceeded to consider the “pith and substance” of the action (*2). His Honour concluded that both the plaintiff’s allegations of misrepresentations inducing him to sign the shareholders agreement, and the allegation that the business partners breached fiduciary duties by opening a competing restaurant within one kilometre fell outside of the content of the agreement, which contract was subject to mandatory arbitration. On the other hand, the judge did determine that the allegations of oppression pertained to the content of the shareholders’ agreement, and that, at first blush, these issues should properly be referred to the arbitrator. However, Akhtar J. refused on policy grounds to separate the proceedings between the courts and arbitration when a common set of facts would underpin the two parallel proceedings. Lauwers J.A. for the Court of Appeal reversed the decision of the motions judge. Lauwers stressed the directive and unequivocal nature of s.7 of the Arbitration Act (*3), contrasting this to the former wording of the provision (*4). The judge also stressed the importance of the competence-competence doctrine, whereby, as noted above, an arbitrator is the proper referee at first instance to rule upon his own jurisdiction under an arbitration clause. The principle is entrenched both in the Ontario legislation and the Supreme Court case law (*5). The appeal court then endorsed the approach of the lower court in looking to the pith and substance of the plaintiff’s claim; however Lauwers J.A. refuted the determination of Akhtar J. that the pith and substance of the claims was beyond the contractual framework. Save for the alleged misrepresentation as to the performance of other restaurants at the same location, the other allegations of misrepresentation as advanced by the plaintiff related to the post-contractual conduct of the partners, such as the opening hours of the restaurant, the shortfall in capitalization and the decision to prematurely close down the restaurant. Accordingly, the appeals court held that the pith and substance of these claims was not pre-contractual fraudulent misrepresentations inducing the plaintiff to invest in the business. The appeals court went on to consider whether the fact that the plaintiff pleaded in tort rather than contract excluded the application of the arbitration provision contained in the contract. Lauwer J.A. dismissed the argument and warned against the danger of vitiating the purposes of an arbitration clause if this could be bypassed by a tort-based characterization of a plaintiff’s claims. In the same vein, the court refuted that the arbitration clause should be impaired by a pleading of fraud, which could be used as a strategy to obviate a mandated arbitration. The motions judge had resisted applying the arbitration clause for the minor portion of the claim which he had determined should have been arbitrated. However, this was based on a “faulty premise” as the decision was premature given that there had not been a proper determination by an arbitrator of his/her own jurisdiction. The Court of Appeal finally had to decide on residual arguments, which had not been considered a first instance given that the plaintiff had prevailed on other bases. Firstly, the court denied that the arbitration clause was per se invalid. Although the arbitration clause called upon each party to name an arbitrator and clearly was drafted for the purposes of a bilateral contract as opposed to a multi-party shareholder agreement, this should not be fatal but rather the clause should be given a functional interpretation to respect the intent of proceeding to arbitration. Finally, although one shareholder had not signed the agreement and was not resisting the matter proceeding in Superior Court, the risk of multiplicity of proceedings did not justify ignoring the policy support for enforcing the arbitration clause. Moreover, it was not readily apparent that this partner would refuse to participate in the arbitration process. This case is demonstrative that the Ontario Court of Appeal is heeding the policy direction of the legislator and the Supreme Court; and parties who include an arbitration clause in their contracts must expect to be held to those provisions by the courts of the province. On January 21, 2017, the Government of Canada launched a public consultation with respect to proposed regulations under the Safe Food For Canadians Act (“SFCA”) aimed at strengthening food safety. The SFCA is meant to harmonize Canada’s food safety regime with that of our trading partners, particularly, the United States and the European Union. At this time, the draft regulations affect the following food industry businesses: preparers of food for interprovincial trade or export, food importers/exporters, Interprovincial traders of food, fresh fruit and vegetable primary producers and the organic food industry. The proposed regulations appear to be in line with the standards of the American Food Safety Modernization Act and its Rule for Preventative Controls for Human Food. It remains to be seen whether regulations similar to the Rules on Sanitary Transportation of Human and Animal Food will be enacted. Further information specific to carriers can be found in the “highlights” section. The draft regulations are meant to put “a greater emphasis on preventing food safety risks for all foods imported into Canada or sold across provinces.”(*1) They also apply to foods prepared for export. The 90-day consultation period ends on April 21, 2017. The preventative systems that the regulations aim to put in place, such as traceability and hazard analysis critical control point (“HACCP”) plans, are meant to “boost the competitiveness of Canadian food businesses across the supply chain…at home and on the world stage” according to the Canadian Government. (*4) From a trade perspective, the regulations along with the SFCA would align the Canadian food safety regime with those of our major trading partners, such as the United States, the European Union, Australia and New Zealand. (*5) This will be beneficial to Canada as well will be operating under internationally recognized standards. In preparing these regulations, the Canadian Government has identified food products that fall into the non-federally registered sector, such as fresh fruit and vegetables as well as other prepared foods, as being “high risk” because they do not fall under the current commodity-based regulations (e.g. meat, fish, or dairy). (*6) Accordingly, such foods are specifically addressed in the regulations and companies that manufacture/grow/harvest, process, treat, preserve, grade, package, label or store such foods should pay particular attention to the regulations. The regulations mainly focus on the sanitary and safe manufacturing, growing, harvesting, processing, treating, preservation, grading, packaging, labelling and storing of food products. Section 19(1) specifically states that the SFCA and regulations do not apply to a person who conveys a food commodity if their sole concern in respect of the food commodity is its conveyance. Accordingly, while warehouseman may be subject to the SFCA, it appears that carriers and freight forwarders will not be subject to the SFCA at this time. (*7) As noted above, the regulations do not incorporate similar provisions as the US Rule on Sanitary Transportation of Human and Animal Food. Other Provisions: The regulations contain provisions specific to certain food commodities, such as meat, egg and dairy. They also allow anyone to request an export certificate to comply with foreign government or customer requirements. There are provisions related to labeling and packaging as well as grade requirements and container sizes and standard weights. On January 11, 2017, the Federal Court of Canada was tasked with the preliminary determination of two questions of law in De Wolf Maritime Safety B.V. v. Traffic-Tech International Inc. Firstly, did the Hague-Visby Rules (*1) liability regime apply to the loss in question given the undeclared on deck carriage of the shipment and, if so, were the Hague-Visby package limitations available to the carrier in the circumstances? Where on deck carriage of cargo is declared on the bill of lading and that cargo is in fact carried on deck, the Hague-Visby Rules’ definition of “goods” will exclude that cargo and the Hague-Visby Rules and its limitationswill not apply to the associated carriage. In this case, the cargo, while carried on deck, was not declared as on deck cargo on the bill of lading and, therefore, the issue was whether the Hague-Visby Rules and associated limitationswould apply. The plaintiff, De Wolf Maritime Safety B.V. (“De Wolf”) was the owner and consignee of a shipment described as “One piece zodiac and Spare Parts” (the “Shipment”), carried in a container loaded on board the vessel “Cap Jackson” in Vancouver, Canada. The Shipment was scheduled for delivery in Rotterdam, Netherlands. The container was carried under a bill of lading issued by Traffic-Tech International Inc. (“Traffic-Tech”). There was no declaration on the bill of lading that the said container was to be carried “on deck”; however, the container was, in fact, carried on deck. There also had been no declaration on the bill of lading or otherwise by the shipper as to the nature or value of the Shipment. Unfortunately, the container was lost during the voyage and failed to be delivered in Rotterdam. De Wolf’s loss totalled €71,706.00, being $98,896.92 CAD plus costs and interest. De Wolf claimed that Traffic-Tech had failed to carry the Shipment under deck, instead carrying the Shipment on deck without declaration or authority. By failing to declare the on deck carriage on the bill of lading, De Wolf claimed that the Hague-Visby Rules did not apply. The resulting loss was alleged to have been caused by Traffic-Tech’s failure to safely carry, care for, discharge, store and deliver its cargo in good order and condition. Further, De Wolf alleged that Traffic-Tech had breached its contract and obligations, was grossly negligent, and was, therefore, not entitled to invoke any of limitations of liability provided for in the Hague-Visby Rules, being Schedule 3 of the Marine Liability Act, SC 2001, c 6 (“MLA”). Traffic-Tech defended arguing that the Shipment was “goods” as defined under the Hague-Visby Rules in Article I(c). “Goods” excludes “cargo which by the contract of carriage is stated as being carried on deck and is so carried.” Therefore, while the Shipment had been carried on deck, it had not been declared as being carried on deck on the bill of lading. As a result, Traffic-Tech argued that the Shipment was not excluded from the definition of “goods” and was, therefore, subject to the Hague-Visby Rules and its limitations of liability were available. Further, Traffic-Tech argues that Article IV(5)(a) states that neither the carrier nor the ship shall “in any event” become liable for any amount above the limitation provided for in the convention and that the limits shall apply in any action against the carrier, and whether in tort or contract. The limitation claimed by Traffic-Tech was an amount not exceeding 666.67 units of account per package or unit or 2 units of account per kilogramme of gross weight of the goods lost or damaged, whichever was the higher. De Wolf, on the other hand, argued that the undeclared on-deck carriage of the shipment under the bill of lading prevented the defendant from relying on the carrier’s limitations of liability provided for in the Hague-Visby Rules. Simply put, De Wolf had not been notified that the Shipment would be stowed on the deck and only found out after the loss and there was no “liberty clause” in the bill of lading that put De Wolf on notice that the Shipment might be carried on deck. (A liberty clause in a carriage contract provides that a carrier will be at liberty to stow at its option cargo above deck or below deck). De Wolf argued that there are special risks associated with on-deck cargo and there are additional measures that must be taken to protect and insure such goods when they are so shipped. De Wolf submitted that, where there is no place of stowage noted on the bill of lading, it is generally understood that the goods will be carried under deck. To carry them on deck without prior declaration would be improper, per Article III(2) of the Hague-Visby. By permitting the limitation to apply, De Wolf argued, “would be to reward the carrier for failing to its obligation to declare on-deck stowage, in breach of contract, and contrary to the good faith requirement read into Article 1(c) of the Hague-Visby Rules” (*2). This is also in keeping with the good faith obligation now read into Canadian common law contract (*3). As the limitation did not apply, full damages were recoverable. (2) If the Hague-Visby Rules do apply, what limitations are applicable to the contract of carriage pursuant to the Hague-Visby Rules? With regard to Question 1, the Court agreed with Traffic-Tech that the fact that the on-deck carriage was undeclared did not prevent reliance on the Hague-Visby Rules. Referring to both legislation and case law, the Court held that the containerized Shipment of De Wolf constituted “goods” within the meaning of the Hague-Visby Rules as, even if it was carried on deck, it was not stated as being so carried on the contract of carriage. …in order for cargo not to be regarded as “goods”, it must not only be carried on deck, but also be stated in the contract of carriage as being so carried. The late professor William Tetley confirms that “neither the carrier nor the shipper may benefit from or be subject to the Rules, provided that: a) the bill of lading on its face states that the goods are carried on deck, and b) the cargo is in fact carried on deck” (Tetley at 1569). Therefore, the Hague-Visby Rules will apply to cargo carried under deck while the bill of lading states that the cargo is carried on deck, and vice versa (Julian Cooke et al, Voyage Charters, 4th ed. (London: Lloyd’s Shipping Law Library, 2014) at 1018). In this case, it is undisputed that the bill of lading did not mention on-deck carriage, and that the goods were carried on deck. As one of the two conditions is not met, the cargo cannot be excluded from the definition of “goods”, and it is thus subject to the Hague-Visby Rules. The Court then went on to consider Question 2, (if the Hague-Visby Rules did apply), what limitations are applicable to the contract of carriage pursuant to the Hague-Visby Rules? The Court found that the limitation of liability provided for in Article IV(5)(a) of the Hague-Visby Rules applied being an amount not exceeding 666.67 units of account per package or unit or 2 units of account per kilogramme of gross weight of the goods lost or damaged, whichever was the higher. The Court noted that Article IV(2) of the Hague-Visby Rules provides complete exoneration to the carrier and the ship for loss or damage arising or resulting from the circumstances listed therein, such as acts of war or of public enemies, among others. Article IV(5)(a) then provides a limitation of liability to the carrier and the ship “in any event.” Article IV(5)(e) provides that neither the carrier nor the ship shall be entitled to the benefit of this limitation of liability if “the damage resulted from an act or omission of the carrier done with intent to cause damage, or recklessly and with knowledge that damage would probably result”. Unless the nature and value of [the] goods have been declared by the shipper before shipment and inserted in the bill of lading, neither the carrier nor the ship shall in any event be or become liable for any loss or damage to or in connection with the goods in an amount exceeding 666.67 units of account per package or unit or 2 units of account per kilogramme of gross weight of the goods lost or damaged, whichever is the higher (emphasis added). If we stick to “the ordinary meaning to be given to the terms of the treaty in their context and in the light of its object and purpose” (Vienna Convention on the Law of Treaties, Can TS 1980 No 37, art 31(1); see also J.D. Irving Ltd v Siemens Canada Ltd, 2016 FC 287 at para 32), hereby constructing the words as the England and Wales Court of Appeal did, it appears clear that the words “in any event” used in Article IV(5)(a) mean “in every case” and encompass the case at bar. This can also be inferred from the French wording “en aucun cas responsable”, which can be translated as “in no way responsible”. Neither the wording of Article IV (5)(a) nor the context of the article suggest that “in any event” refers to the events listed under Article IV(2). Hence, the only exception to the limitation rule set out in Article IV(5)(a) is the one provided by Article IV(5)(e), discussed further below. De Wolf submits that bad faith should bar a carrier from the benefits of the Hague-Visby Rules. However, there is no evidence before the Court that Traffic-Tech actually acted in bad faith as no evidence is to be tendered in these proceedings. Hence, it is not for this Court to assess whether Traffic-Tech acted in bad faith or not. De Wolf argues that Traffic-Tech cannot invoke the benefit of the limitations of liability contained in Article IV(5)(a), hereby relying on Article IV(5)(e) of the Hague-Visby Rules. Traffic-Tech submits that this exception is not at play as, while De Wolf alleges that the damage was caused by Traffic-Tech’s negligence, “the proceedings contain no allegation or proof of the damage having been caused with the intent or knowledge on the part of the Defendant that the damages would occur” (Defendant’s Memorandum of Fact and Law at para 23). The Court sides with Traffic-Tech as, once again, it is not for the Court to decide if Article IV(5)(e) applies in these proceedings as this would require an assessment of the facts. The Court held that Traffic-Tech could invoke the limitation of liability provided for at Article IV(5)(a) of the Hague-Visby Rules, despite the unauthorized and undeclared on deck carriage on the bill of lading. As a result, the Court ordered that the limitation applicable to the contract of carriage pursuant to the Hague-Visby Rules applied and should not exceed “666.67 units of account per package or unit or 2 units of account per kilogram of gross weight of the goods lost or damaged, whichever is the higher” pursuant to Article IV(5)(a). The Court also awarded costs to Traffic-Tech. (*1) At para 33, The International Convention for the Unification of Certain Rules of Law relating to Bills of Lading, better known as the Hague Rules, was concluded at Brussels on August 25, 1924. It was amended in 1968 by the Protocol to Amend the International Convention for the Unification of Certain Rules of Law Relating to Bills of Lading to become the Hague-Visby Rules. The Hague Rules were incorporated in Canadian law through the Water Carriage of Goods Act, SC 1936, c 49. Afterwards, the Hague-Visby Rules came into force first through section 7 of the Carriage of Goods by Water Act, SC 1993, c 21, and then through section 43 of the Marine Liability Act, being inserted in its schedule 3. The Hague Rules and the Hague-Visby Rules may herein collectively be referred as the Rules except where reference to a specific convention is required. (*3) Bhasin v Hrynew, 2014 CSS 71). (*4) It also appears that the Court was persuaded in part that the risks associated with on deck carriage are no longer as significant as they once were. The recently published Ontario Superior Court of Justice case of Royal Bank v. Delta Logistics (*1) provides interesting guidance as to whether a court appointed Receiver or a possessory lien claimant may control the assets of a debtor. 23377764 Ontario Inc. (“233”) performed certain inspection and repair services to seven trucks owned by Delta Logistics Transportation Inc. (“Delta”). 233 also stored the trucks for a period of time. 233 invoiced Delta roughly $80,000 for these services for which it was not paid. 233 thereafter retained possession of the trucks, asserting a possessory lien pursuant to Ontario’s Repair and Storer’s Lien Act (the “RSLA”) (*2). Delta thereafter made an assignment in bankruptcy on September 26, 2013. The Royal Bank of Canada (“RBC”) was a creditor of Delta. Pursuant to s. 243(1) of the Bankruptcy & Insolvency Act (the “BIA”) (*3), at RBC’s request BDO Canada Limited (“BDO”) was appointed pursuant to a Court Order as the Receiver of the assets, undertakings and property of Delta. BDO was also appointed as Delta’s Trustee in Bankruptcy. BDO applied to the Court for an order requiring 233 to deliver the trucks to it. BDO took the position that pursuant to the Court Order appointing it as the Receiver that it was required to carry out various tasks including taking possession of Delta’s property to sell for the benefit of Delta’s creditors. 233 refused. It argued that the Court had no jurisdiction to give effect to BDO’s demand for possession. 233 took the position that any disputed claim for possession had to be referred to the Court for resolution pursuant to the provisions of Part V of the RSLA which provides a mechanism for a determination of the rights of parties to an asset under lien. Who as between 233 and the Receiver was entitled to possession – and, with that, the control over the disposition of the trucks? The dispute was referred to the Ontario Superior Court which reviewed the relevant law. • Section 69.3 of the BIA provides that on the bankruptcy of any debtor that no creditor has any remedy against the debtor or the debtor’s property, or shall commence or continue any action, execution or other proceedings, for the recovery of a claim provable in bankruptcy. • subject to certain inapplicable exceptions, as a general rule the above BIA provision, however, does not prevent a secured creditor from realizing or otherwise dealing with his or her security in the same manner as he or she would have been entitled to realize, unless the court otherwise orders. Every bankruptcy order and every assignment made under this Act takes precedence over all judicial or other attachments, garnishments, certificates having the effect of judgments, judgments, certificates of judgment, legal hypothecs of judgment creditors, executions or other process against the property of a bankrupt, except those that have been completely executed by payment to the creditor or the creditor’s representative, and except the rights of a secured creditor. (c) take any other action that the court considers advisable. The Court Order that appointed BDO as Receiver did not contain any restriction on the ability for it to deal with and realize a sale of the trucks as Delta assets. 2. This Court orders that pursuant to section 243(1) of the BIA, BDO is hereby appointed Receiver, without security, of all the assets, undertakings and properties of the Debtor acquired for, or used in relation to a business carried on by the Debtor, including all proceeds thereof (the “Property”). 4. This Court orders that (i) the Debtor, (ii) all of its current and former directors, officers, employees, agents, accountants, legal counsel and shareholders, and all other persons acting on its instructions or behalf, and (iii) all other individuals, firms, corporations, governmental bodies or agencies, or other entities having notice of this Order (all of the foregoing, collectively, being “Persons” and each being a “Person”) shall forthwith advise the Receiver of the existence of any Property in such Person’s possession or control, shall grant immediate and continued access to the Property to the Receiver, and shall deliver all such Property to the Receiver upon the Receiver’s request. 13. This Court orders that all funds, monies, cheques, instruments, and other forms of payments received or collected by the Receiver from and after the making of this Order from any source whatsoever, including without limitation the sale of all or any of the Property and the collection of any accounts receivable in whole or in part, whether in existence on the date of this Order or hereafter coming into existence, shall be deposited into one or more new accounts to be opened by the Receiver (the “Post Receivership Accounts”) and the monies standing to the credit of such Post Receivership Accounts from time to time, net of any disbursements provided for herein, shall be held by the Receiver to be paid in accordance with the terms of this Order or any further Order of this Court. 1. The amount that the person who requested the repair agreed to pay. 2. Where no such amount has been agreed upon, the fair value of the repair, determined in accordance with any applicable regulations. 3. Where only part of a repair is completed, the fair value of the part completed, determined in accordance with any applicable regulations. 1. The amount agreed upon for the storage or storage and repair of the article. 2. Where no such amount has been agreed upon, the fair value of the storage or storage and repair, determined in accordance with any applicable regulations. 3. Where only part of a repair is completed, the fair value of the storage and the part of the repair completed, determined in accordance with any applicable regulations. 5. A lien under this Part is discharged and cannot be revived as an interest in the article if possession of the article that is subject to the lien is surrendered to, or lawfully comes into the possession of, the owner or any other person who is entitled to receive a notice under subsection 15 (2). 6. A lien under this Part has priority over the interests of all other persons in the article. The only decision dealing with a conflict between the bankruptcy regime and the RSLA that the court could locate concerned the case of Totalline Transport Inc. v. Caron Belanger Ernst & Young Inc. (*6). In that case the defendant was appointed as Trustee in Bankruptcy and as Receiver. An order had been issued by the Superior Court of Quebec allowing the Receiver to take control of goods held by the plaintiff in that case who was asserting a possessory lien under the RSLA. That plaintiff asserted that it could exercise its lien without regard to the bankruptcy proceedings and that no leave was required from the Court in order for it to do so. The Trustee argued that given the Order from the Superior Court of Quebec, possession of the goods was to be turned over to the Receiver. The Ontario Court agreed with the plaintiff, finding that it had the right to possess the security and realize its security on the goods under its lien. In support of its decision, the Court examined s. 69.3 of the BIA (noted above)that a secured creditor can realize and otherwise deal with its security in the same manner as it would have been (otherwise have been) entitled to realize or deal with, it being noted that a possessory lien claimant is a “secured party” as a matter of law. The Ontario Court further determined that the plaintiff did not require leave of the Court to exercise its security pursuant to its possessory lien and found that the goods held by the plaintiff did not form part of the bankrupt’s property that could be seized by the Trustee. In the present case the court noted that a helpful (and ultimately dispositive) statement of the relevant principles is found in the case of Bank of Nova Scotia v. MacCulloch & Co. (*7). The court in this case stated that “[o]nce a receiver is appointed, it is the Receiver’s duty to liquidate the assets, pay all costs and expenses of the Receivership, and distribute the net proceeds among the creditors of the company in order of priority. A Receiver owes a duty to the court that appointed it and to the creditors generally”. This decision quoted from a leading text, Kerr on Receivers (*8) noting that a Receiver is obliged “… to take possession of the estate, or the property, the subject matter of dispute in the action, in the room or place of the owner thereof; and, under the sanction of the court, to do, as and when necessary, all such acts of ownership … for the parties to be ultimately declared to be entitled thereto, as the owner himself could do if he were in possession…”. The Court ordered that the Order appointing the Receiver governed the outcome of the case. Given its broad terms, the Receiver was, and must be entitled to take possession of the liened articles, without prejudice to the claimant’s possessory lien claim which would have to be determined at another time. The Court held that this finding was consistent with the necessity for the Receiver to maintain control over the debtor’s assets to ensure their advantageous and orderly disposition for the benefit of all creditors and to avoid duplicative costs that would otherwise arise from multiple sales. The Court noted the distinction between the powers of a Trustee and Bankruptcy and those of a court appointed Receiver. Should a competition emerge for possession between a Trustee in Bankruptcy and a legitimate possessory lien claimant, the latter would still enjoy the benefit of being able to exercise its legal remedies such as the enforcement of a lien – that is, however, until a Receiver acting pursuant to a Court Order enters the picture. The terms of the Court Order would then govern the situation. Accordingly, in this case the Court required 233 to deliver the vehicles to the Receiver, authorizing it to sell the vehicles by public auction and ordering it to place the proceeds of the sale into a separate trust account. The Court order that 233’s claim would not be prejudiced by the delivery of the vehicles to the Receiver. In other words, the lien claimant would still be afforded the priority status as a possessory lien claimant (vis-a-vis other non priority lien claimants and unsecured creditors) in any eventual realization of and division of Delta’s assets. The exercise of a lien over goods in transit sold by a seller to a buyer presents an interesting situation in any given case. In addition to one having to carefully scrutinize the circumstances and the specifics of the appointment of the Receiver in a given case, there will be the interesting question as to whether the goods in question do in fact form the property of the debtor or bankrupt. Might the title to the goods have passed to the buyer/consignee? What were the terms of the underlying contract between the seller and buyer on point? THIS COURT ORDERS that no Proceeding against or in respect of the Debtor or the Property shall be commenced or continued except with the written consent of the Receiver or with leave of this Court and any and all Proceedings currently under way against or in respect of the Debtor or the Property are hereby stayed and suspended pending further Order of this Court. THIS COURT ORDERS that all rights and remedies against the Debtor, the Receiver, or affecting the Property, are hereby stayed and suspended except with the written consent of the Receiver or leave of this Court, provided however that this stay and suspension does not apply in respect of any “eligible financial contract” as defined in the BIA, and further provided that nothing in this paragraph shall: (i) empower the Receiver or the Debtor to carry on any business which the Debtor is not lawfully entitled to carry on; (ii) exempt the Receiver or the Debtor from compliance with statutory or regulatory provisions relating to health, safety or the environment; (iii) prevent the filing of any registration to preserve or perfect a security interest; or (iv) prevent the registration of a claim for lien. A more full discussion on the tensions at play, and a possible “work around” for the unpaid carrier is something best left for a future article(s). Suffice to say for the moment that any claimant claiming a lien over cargo or goods must pay very careful attention to the specific circumstances and the terms of any governing Court Order. It is a fundamental principle of Canadian law that a plaintiff must mitigate its losses, including in the sphere of employment law. However, there are caveats. In a decision of the British Columbia Supreme Court last month, the Honourable Madam Justice Burke has reminded us that the obligation to mitigate must be assessed for reasonableness. In Bishop v. Rexel (*1), Her Ladyship found that an offer of reemployment did not require acceptance from the departed employee in the circumstances. In fact, the Court commented that this case was not one of those “rare cases” where the employee should have accepted re-employment as a means of mitigation. In other words, it suggested a potential new “default” where the employer would have an onus to prove the reasonableness of any re-employment offer. The Plaintiff in this case, Mr. Bishop, was a 61-year-old buyer for the defendant electrical products retailer and distributor. He had worked for the defendant for 27 years, with a good record. However, on one bad day last January, he got fed up at having been assigned tasks that he did not want to do, in order to assist a colleague who was overwhelmed. Accordingly, he sent a hasty resignation message to his supervisor by e-mail to the effect that he would “not be returning” if the additional tasks remained with him. When confronted in person by his supervisor, Mr. Bishop later doubled-down that the tasks were not what he was hired to do and that he was “done”. He was escorted out of the building later that afternoon with a letter saying that Rexel had accepted his written resignation (although his resignation had not been made in writing). Once lawyers were involved, counsel for Mr. Bishop stated that his client had not actually resigned. Rexel responded promptly by offering to reinstate him with full back pay, but Mr. Bishop refused. In the circumstances, the Court found that Rexel failed in its obligation to confirm Mr. Bishop’s intention to resign after a cooling-off period. It found further that the defendant had an agenda to lay off a number of employees, and had opportunistically twisted the situation to its favour. The Court then found that Mr. Bishop’s resignation was not, in fact, genuine; and that the defendant had taken advantage of his emotional state. Thus, it concluded that he was entitled to 20 months’ notice. This part of the decision is in keeping with longstanding law, requiring voluntary resignations to be “clear and unequivocal”. With respect to mitigation, Mr. Bishop argued that it would be unreasonable to expect him to continue with Rexel, given the animosity and lack of trust that developed at the end of his long tenure. Noting that the onus was on the employer (not the employee) to show a failure of mitigation, the Honourable Madam Justice Burke cited the Supreme Court of Canada’s decision in Evans v. Teamsters Local No. 31 (*2) for the proposition that an employee should not be “obliged to mitigate by working in an atmosphere of hostility, embarrassment, or humiliation”. The foregoing was complicated by testimony that Mr. Bishop faced a significant likelihood of a lay-off within a year if reinstated; and the judge’s view that Rexel’s acceptance of a resignation letter – although none existed – was a “deceptive move”. It is not clear, certainly in Ontario, if the law is so black-and-white that an employee can refuse re-employment from an employer that had just fired him, unless the employer can prove that it was not reasonable for the employee to decline the offer. This case should stand as a cautionary tale to both employers and employees.